Cleaning and Sealing your tile and grout from the dirt and grime that has collected in your flooring over time can restore your tile and make to make it look new again. Making look like it did when you first saw it in the store is your goal. TLC Carpet Care knows the grout is a highly porous element that can soak soil and spills, even more than carpets, making your tile and grout more difficult to clean and making you cleaning it almost impossible. Once TLC Carpet Care in Castle Rock Co cleans your tile and grout , TLC applies a sealant to keep out dirt and soil, making it easies to clean up any spills quickly before they can soak into the grout and stain and stain it. When the on site cleaning process begins, TLC techs perform evaluations to determine the type of stone or tile to guarantee the proper, highest quality cleaning for your floors especially when working with acid-sensitive surfaces such as marble, terrazzo, travertine and limestone. Our certified techs also provide additional inspection, tape off the base boards area to protect those surfaces, and perform dry soil extraction, clearing away surface soil and dirt for better access to build-up and more effective deep-cleaning for your tile and grout. 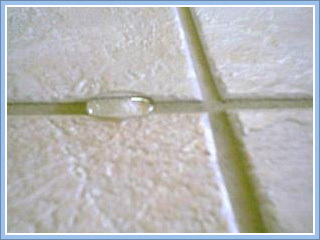 TLC Carpet Care's tile cleaners perform quality checks along the way. If the results are uneven or do not meet expectations, they clean over the uneven area and check their results again, repeating this quality control process until they’ve reached the optimal result. Immediately following your cleaning, TLC Carpet Care' uses sealers are applied that create a barrier to keep germs out and allow for easy maintenance. Our stone, tile and grout cleaning and sealing services leave your floors cleaned, protected and ready to use the same day thou any sealing will take 72 hours to cure.